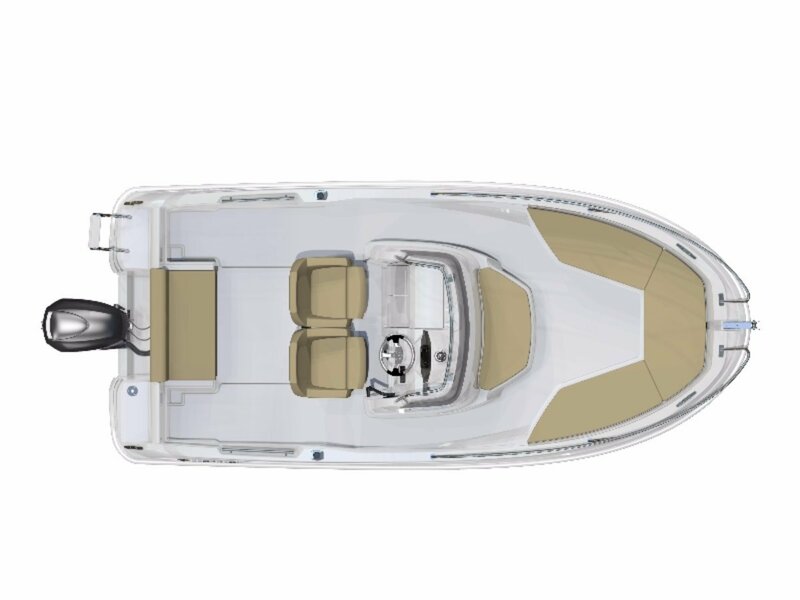 The new Cap Camarat 5.5 CC Series 2 benefits from the latest innovations in style and ergonomic design. 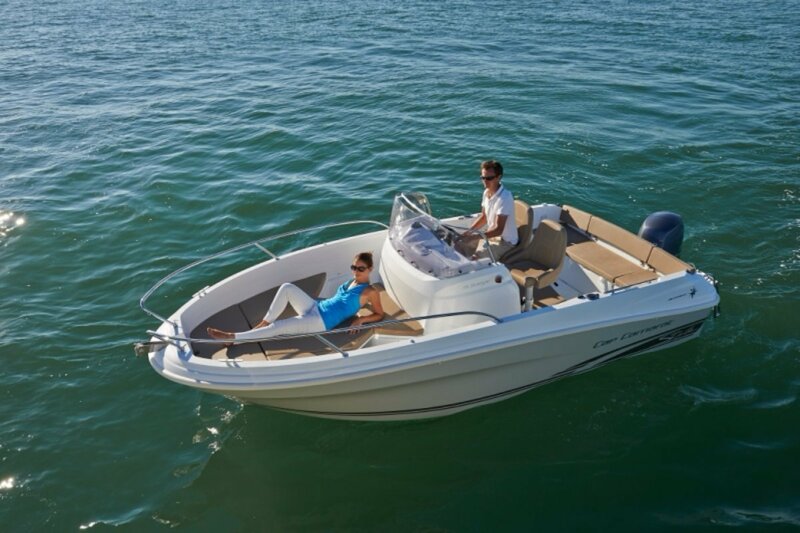 With her tapered V-shaped hull, her excellent handling at sea is ideal for waterskiing, fishing or cruising. 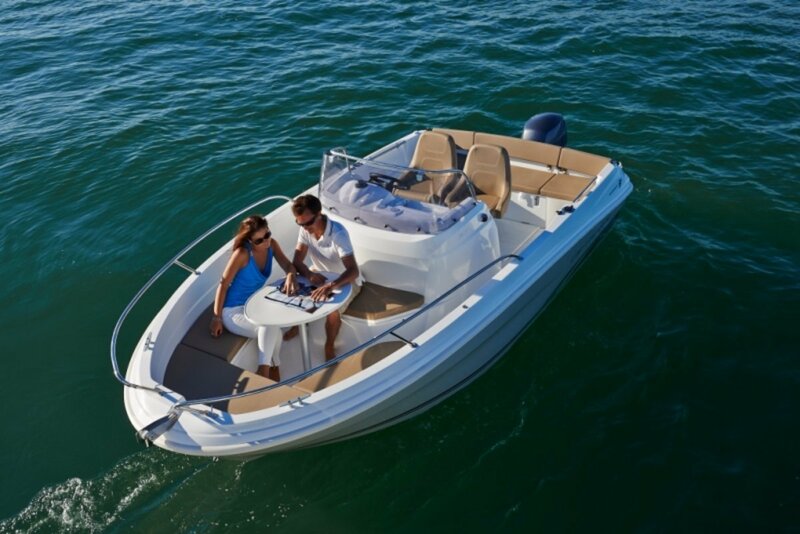 This boat is capable of reaching high speeds while remaining comfortable and fuel efficient. 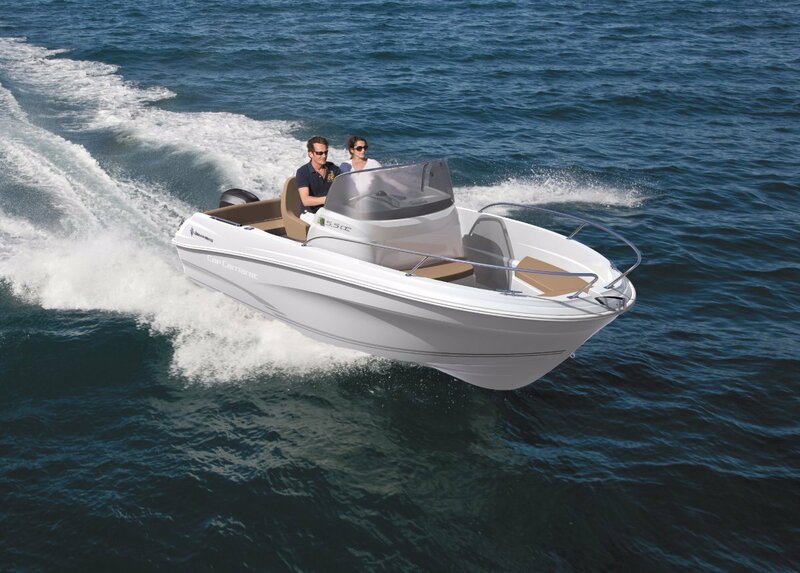 The sculpted console reinforces the overall style with an ergonomic design at the helm, directly inspired by the great Cap Camarats. With her sliding central seating, the aft cockpit is spacious and inviting, even when the engine is up. 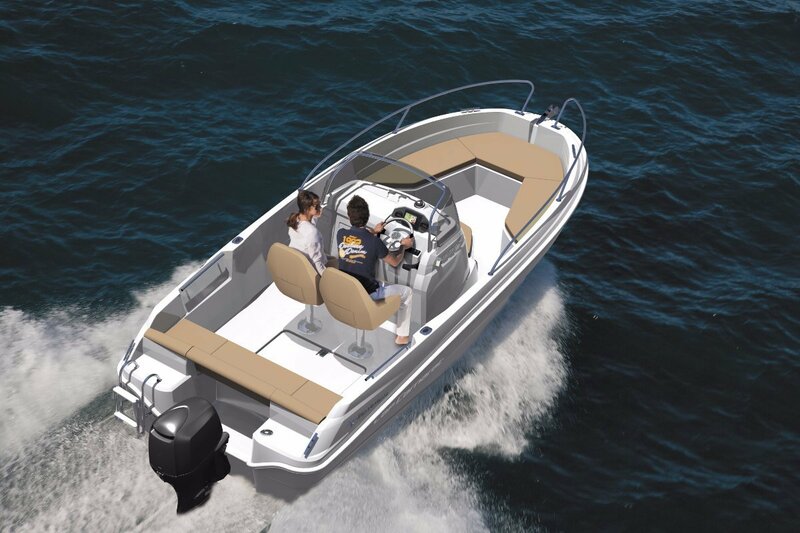 A space designed entirely for relaxation, the forward cockpit safely accommodates family members or guests, and can be transformed into a large sundeck. 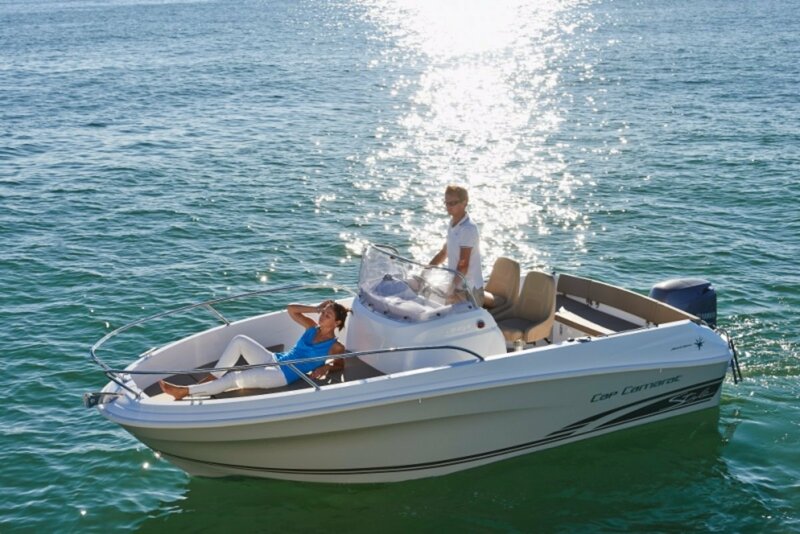 Each moment spent aboard is pure pleasure. For more information, please click on the links below to download the brochure and specification sheet. 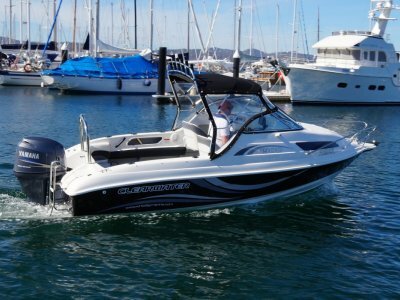 Note: The advertised price includes the factory fitted 'Premier Pack', hydraulic steering, engine pre-rigging/gauges with mechanical throttle control, a 80hp four stroke outboard, propeller, fuel filter, battery, GST, duty and local delivery within Melbourne, Sydney, Perth or Brisbane. 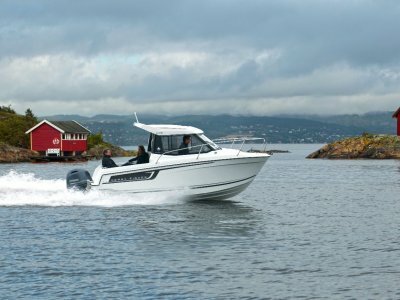 Other factory or locally fitted options available including outboard upgrade, trailer, electronics, mooring equipment, antifouling, registration, safety kit. 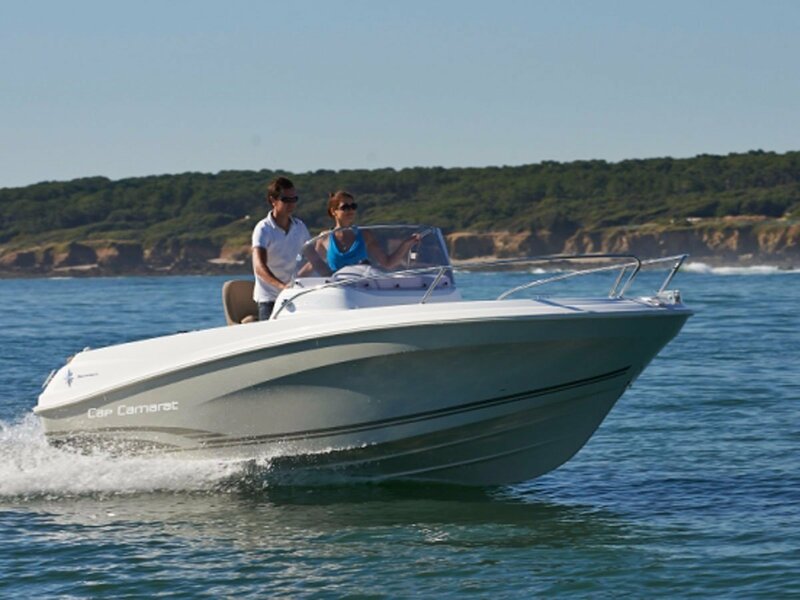 Please consult the Jeanneau agent in your capital city for the complete options price list. 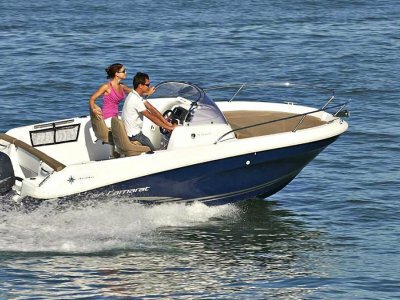 Buyers choice of outboard make & size.